technology with long stroke (1.50mm) with extremely good tactile feeling for fast and accurate data input without any noise, withdurable coating & antimicrobial keyboard surface withstand to most chemicals and liquids under harsh environment, top panel mounted with top ruggedized industrial silicone cover & military matrix PCB for ruggedized structure and easy mounting and sealing, adjustable industrial backlight included, military level. Key top style: Protuberant rectangular keys with tactile feeling. Switch Contact Material: Carbon-on-Gold key switch technology with gold PCB. Interface: matrix FPC, PS2 & USB optional. 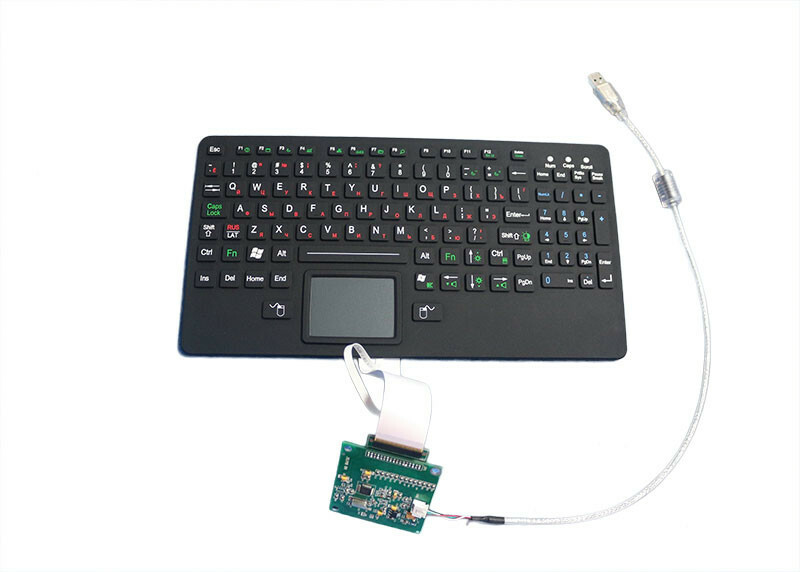 keyboard with NVIS-compliant yellow adjustable backlighting, while NVIS backlighting makes this keyboard ideal for aviation or vehicle applications where night vision goggles are necessary. 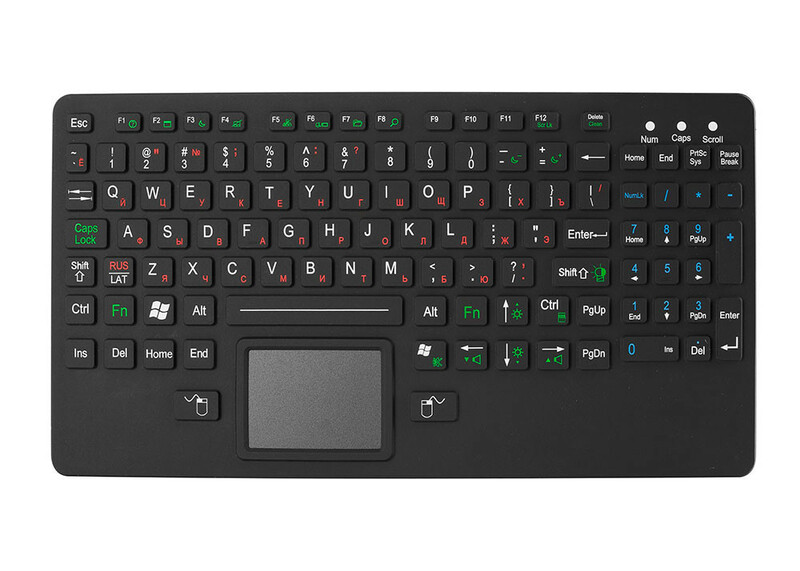 Keyboard provides full-size versatility in a rugged, compact design, rugged construction for reliable functionality. The keyboard lacks the crevices found between the keys of a regular keyboard, which is protected against dust, dirt, grease and corrosive liquids, which means it can withstand directed hose water, disinfectants, environmental contaminants and heavy industrial use. Special durable-coating for excellent mechanical and chemical resistance. With firm tactile key feel, key travel 1.50mm key travel. 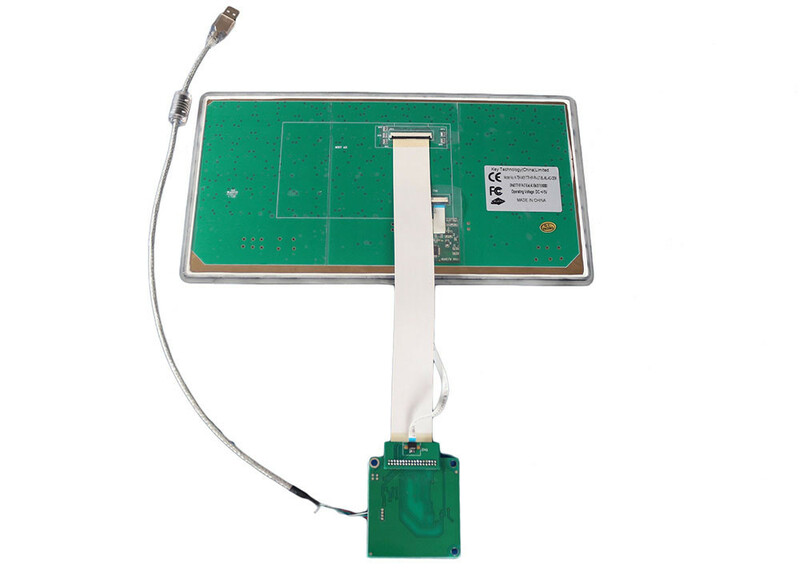 FPC for connecting separate electronics controller.